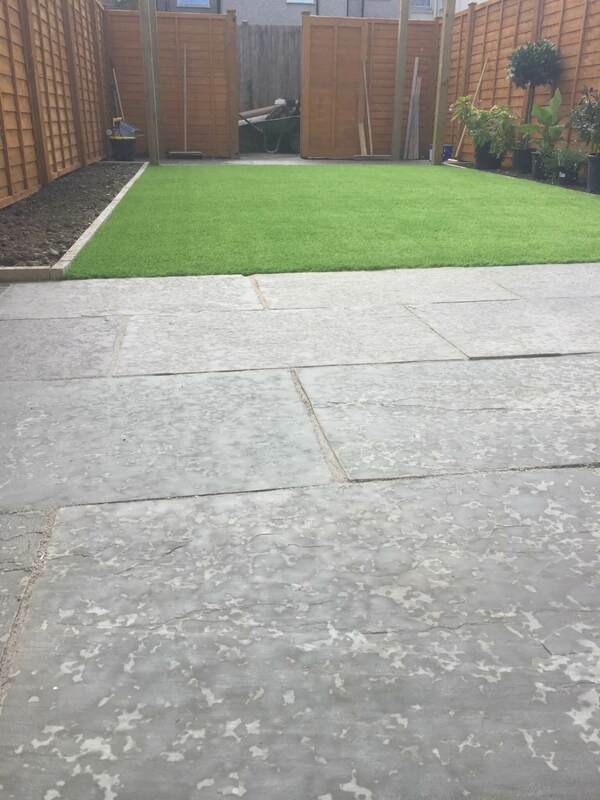 Here we transformed the garden by installing a new patio using natural Indian sandstone paving with the concrete border edges to both sides of the lawn area. 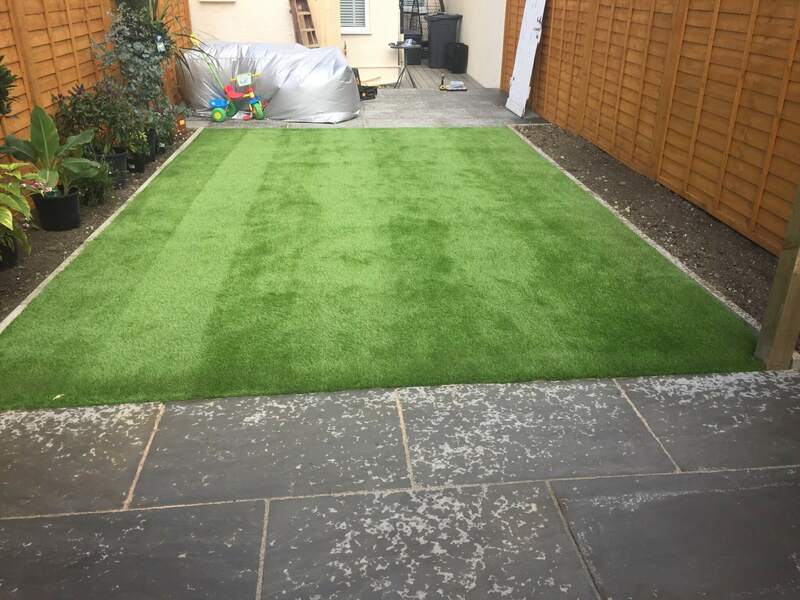 After we installed artificial grass to create a new lawn usable for a play area for the children. 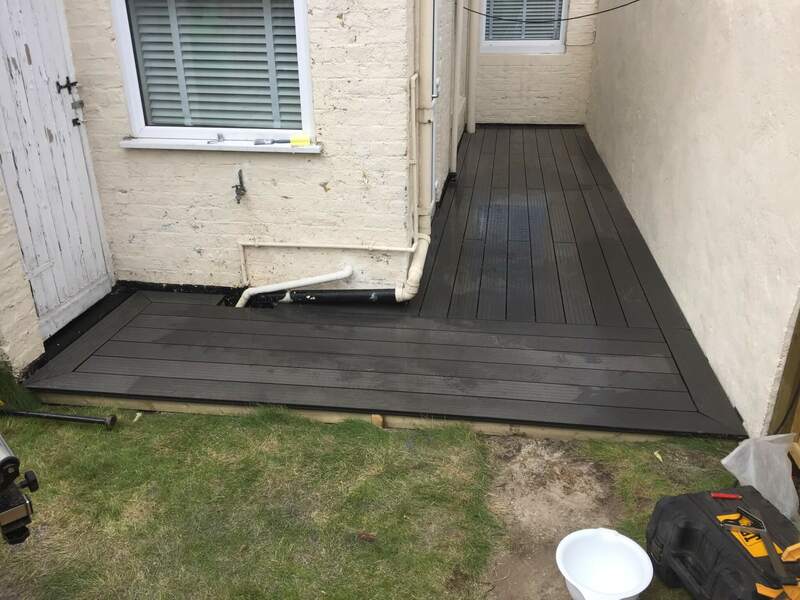 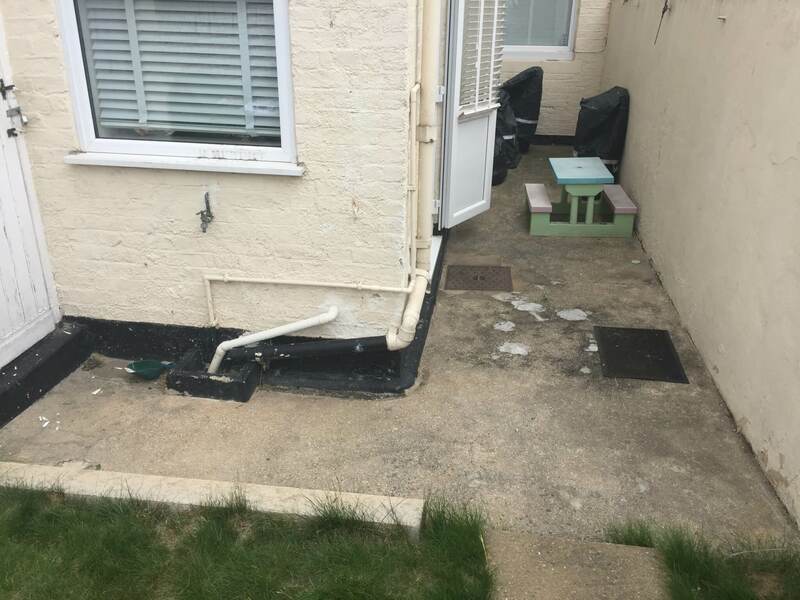 We also created composite decking over existing concrete areas adjacent to the back door and leading around to the small outbuilding. 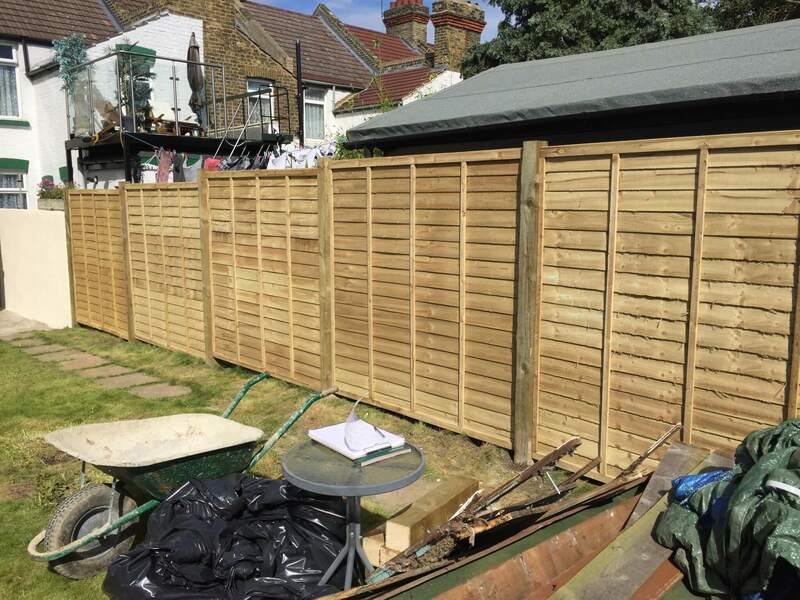 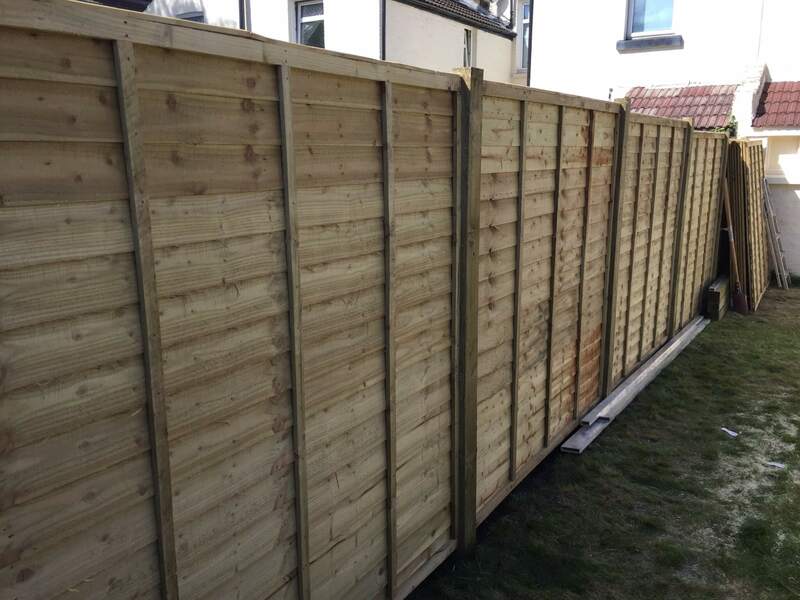 A new timber fence was installed around the whole perimeter of the rear garden, we were also installing a new gate to match the fencing. 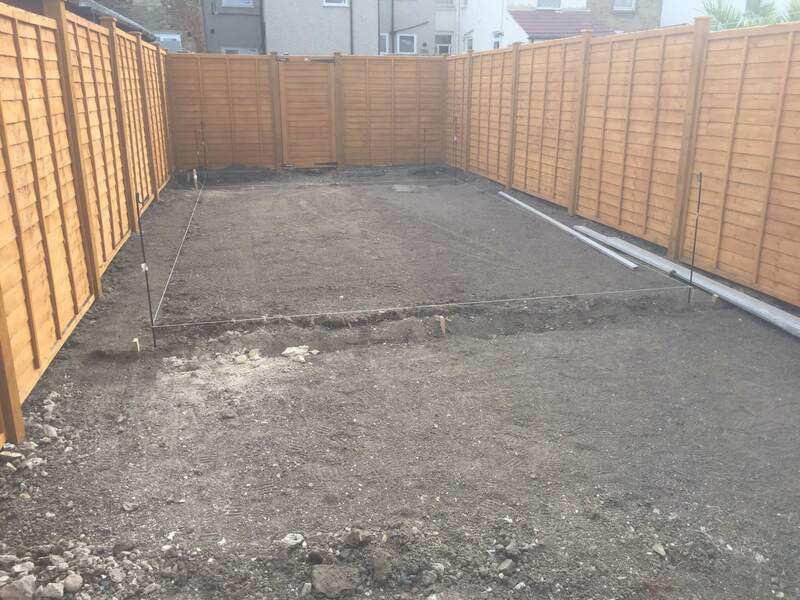 This landscapes garden makeover project was carried out in the Gillingham area of Kent.